This entry was posted in 70-200mm F4, D600, Lenses by D600 Admin. Bookmark the permalink. YES! 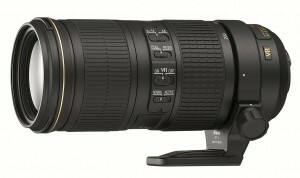 If it is anything like the quality lenses nikon is releasing of late this should sell like hotcakes! It will work on Nikon DX cameras. Hey I do a lot of video with my D600 and I was wondering if there was ever going to be a lens that can be zoomed in and out with a remote or possibly with the eu-1b connector to my i phone. This would be great to have considering I do a lot of sports video. Just wondering if there is technology out there already of if there is anything being developed. Nikon has not developed any power zoom lenses other than the Nikon 1 series so this can’t be done without an external motor drive. There are solutions in the cinema realm for remote control of focus and aperture that could be adapted to control zoom as well. Search for “remote follow focus” for some solutions.